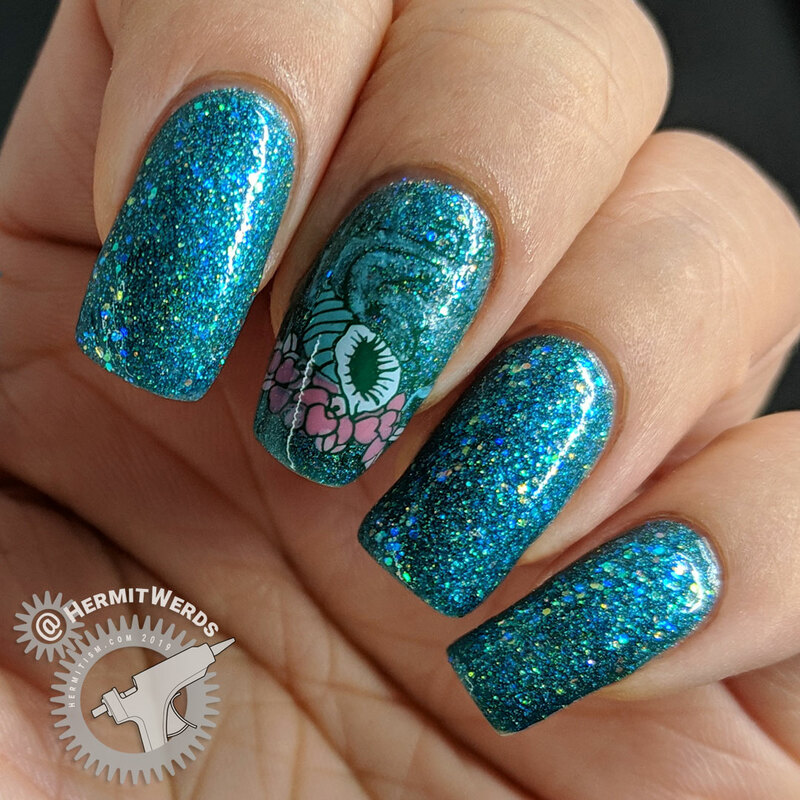 Today I have a simple glittery look using a mermaid stamping plate from Born Pretty. I wasn’t quite ready for mermaids yet, so I used an image of a conch shell. 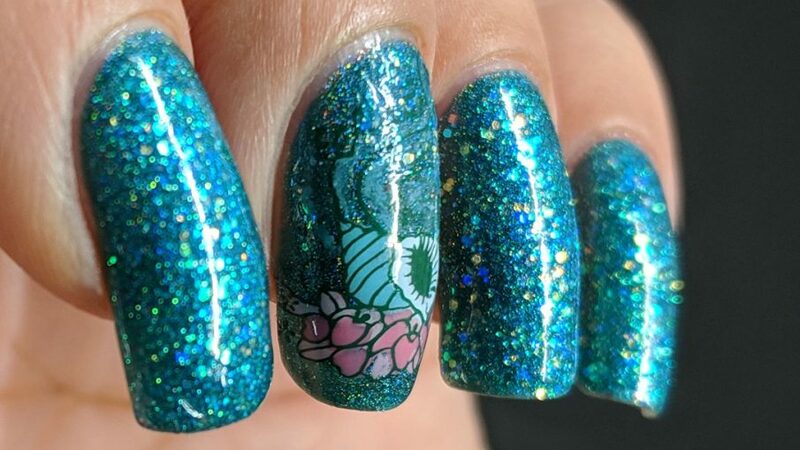 Is it fair to say that mermaids are the second most common fantasy creature in the stamping plate world with unicorns being the first? 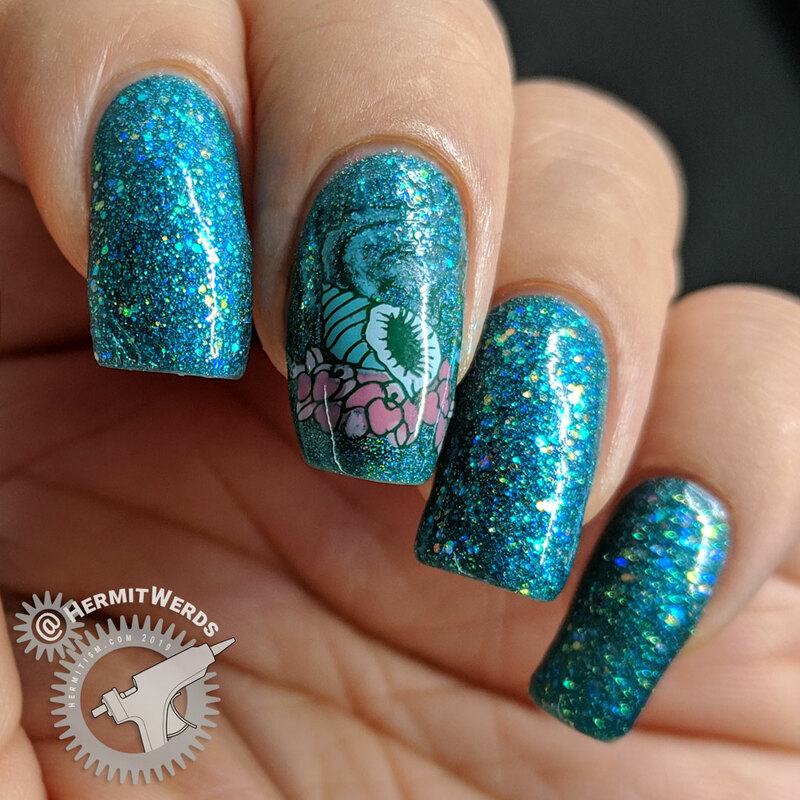 Somehow I thought this would turn out lighter than it did and the dark green stamping polish I used disappeared into the background. Since I couldn’t add musical notes to the other nails (this is a swatch mani for #ColoursWithinWomen and you’re only supposed to have one accent nail) that actually worked out. If they’d been more visible I would have wanted to add that tiny accent. Without it, I just like the simple conch shell look. 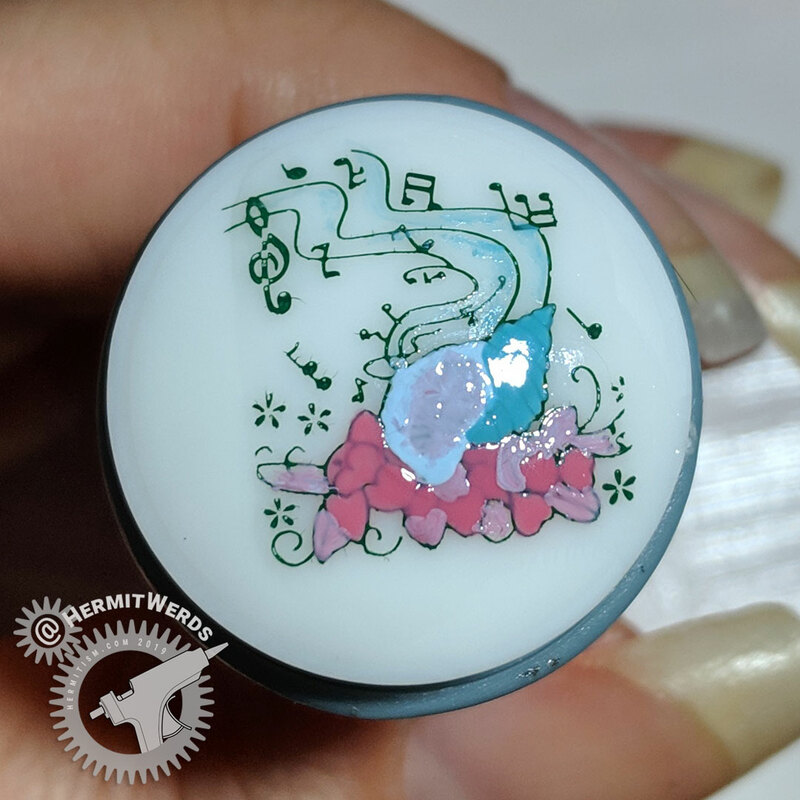 If you’re curious what the lost details look like, here’s a look at the filled in image on my stamper. Fun! I never would have guessed when I bought the Black Heart’s Galaxy Effect set from Hot Topic that the teal holo would be the one I use the most. This is the fourth time I’ve reached for it while the dark blue has only been used twice and the purple once. How sad. Hopefully my holographic polishes get more love this year. Here’s the group collage. So much glitter. Yum! 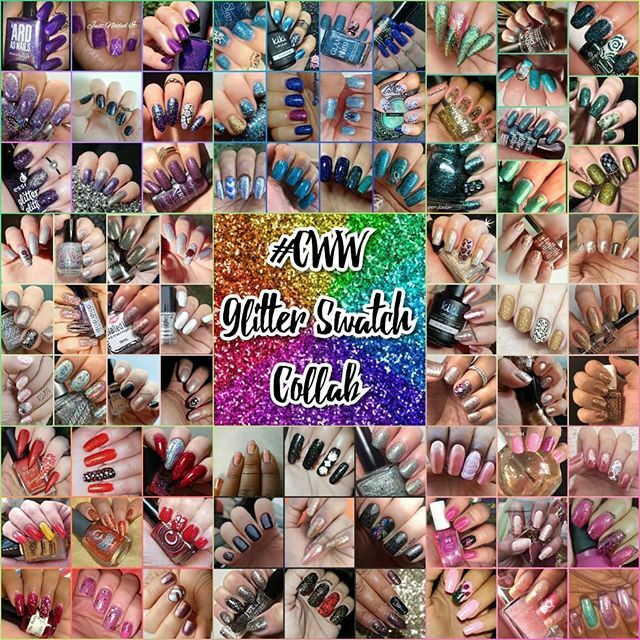 Check out the group tag to see everyone’s manis up close!